We have a variety of sustainable white fish available for purchase online including Fresh Hake, Fresh Coley, Fresh Pollack and Fresh Halibut alongside many more, including fillets such as Fresh Haddock and Lemon Sole that are perfect for making classic fish and chips. White fish, along with oily fish, is considered to be a healthy addition to your diet and with our fantastic range, there’s plenty to choose from. After buying white fish online, you can take come inspiration from our selection of white fish recipes, including Nick Nairn’s delicious Crispy Sea Bass with Celeriac Remoulade, Tomato Salsa and Tapenade. We are also a fan of his Monkfish with Curried Lentils and Homemade Haddock and Chips recipe. Or do it yourself. 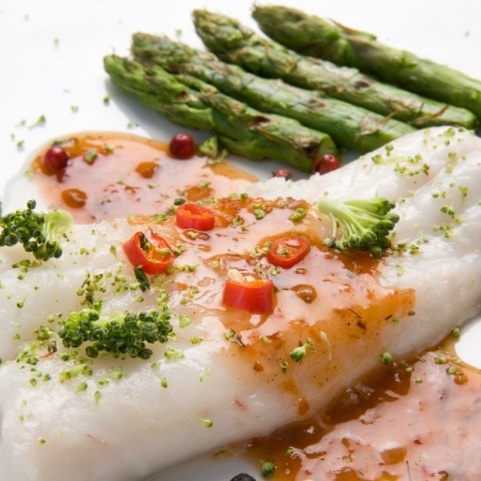 Make an order of fresh white fish online from Campbells Prime Meat, have it freshly delivered to your door and then get creative cultivating some of your own white fish recipes. With the extensive available online here, the sky is the limit. Or should that be the bottom of the sea! 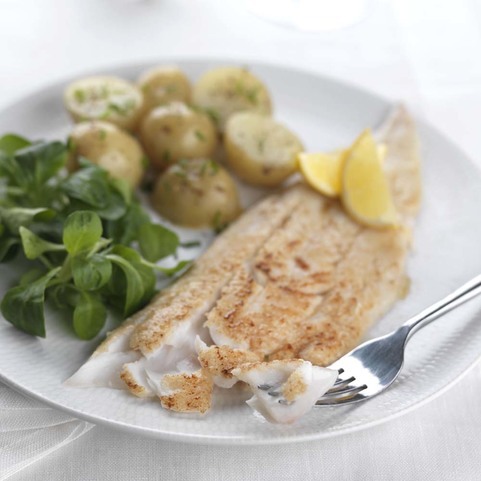 We provide responsibly sourced white fish, featuring some great alternatives to cod. The freshest fish from Scottish waters, with free delivery on fresh meat and fish orders over £50.